A massive five alarm blaze in Charlton, MA last night claimed an entire strip mall of six businesses, including Werke Classic, a classic car restoration shop. The damage is estimated at $2 million. The real issue is that the town of Charlton doesn't have a single working fire hydrant. Not one. That means that the firemen didn't have enough water to contain the blaze and had no choice but to let the building burn and contain the surrounding area. That spelled disaster for Werke Classic, which has been in that building for 22 years. Fifteen historic cars were lost along with the building. 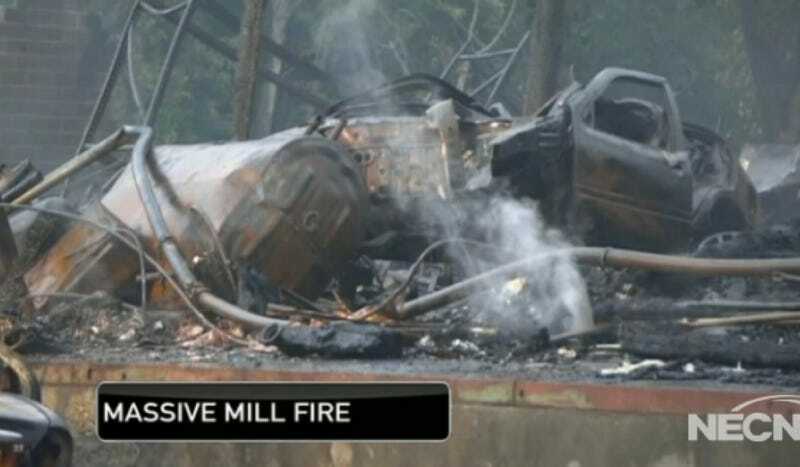 The cars that met a fiery death belonged to shop owner Gary Cove as well as some clients. Of the 15 lost, the most expensive was a $750,000 Mercedes. Ouch. Even though he lost 15 cars, he was able to save a few. Included was a $150,000 Alfa Romeo Giulia SS and another Mercedes worth $1,000,000. Investigators are trying to find out what caused the blaze.